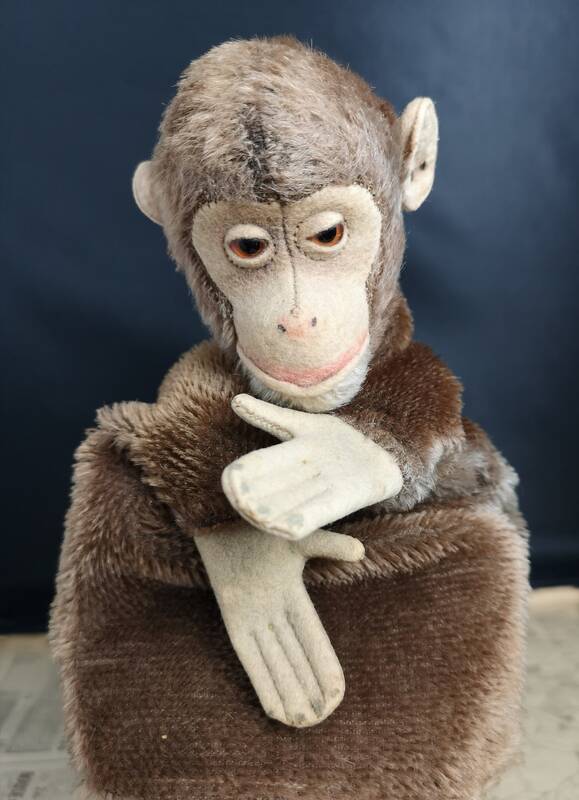 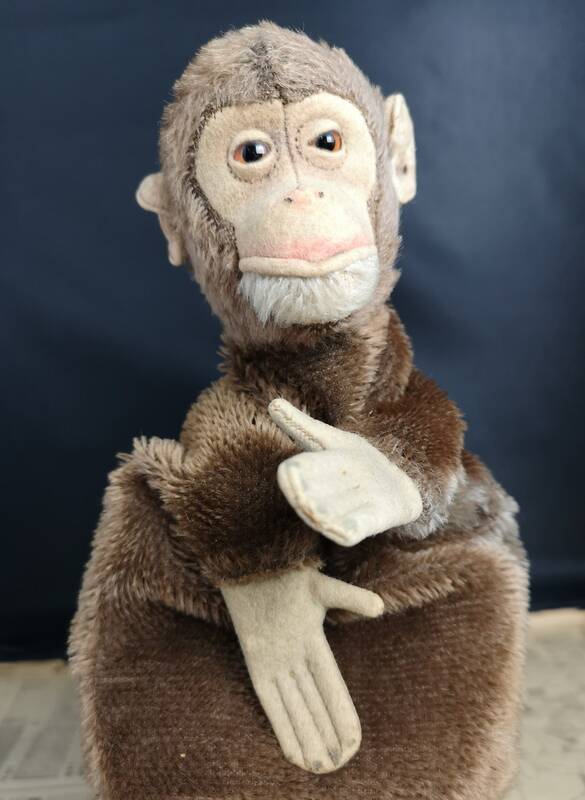 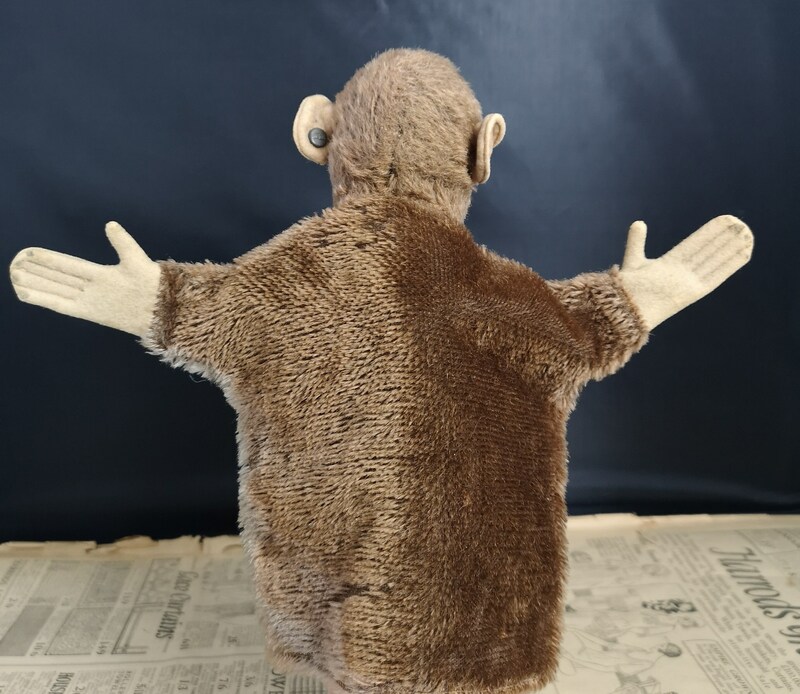 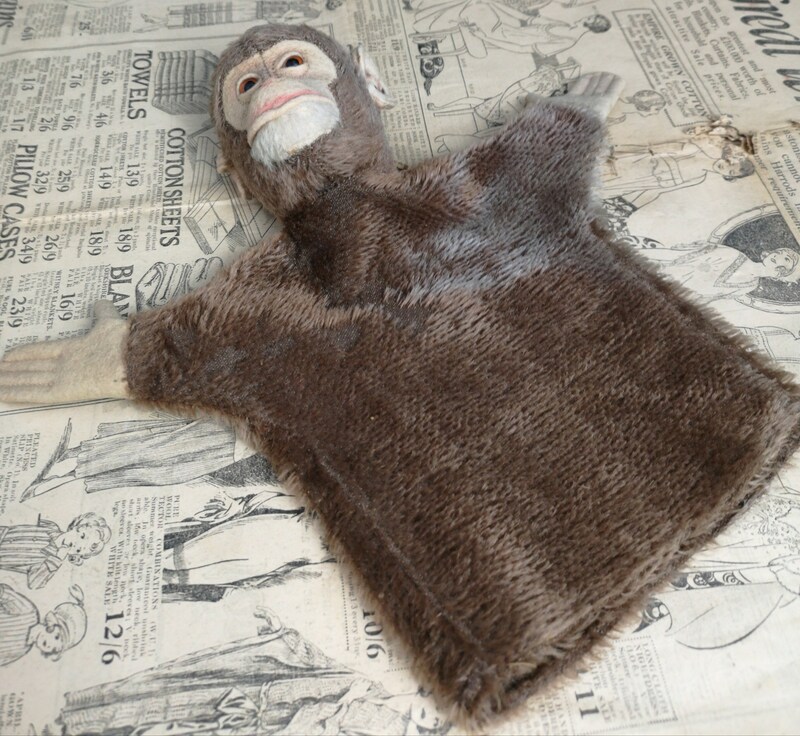 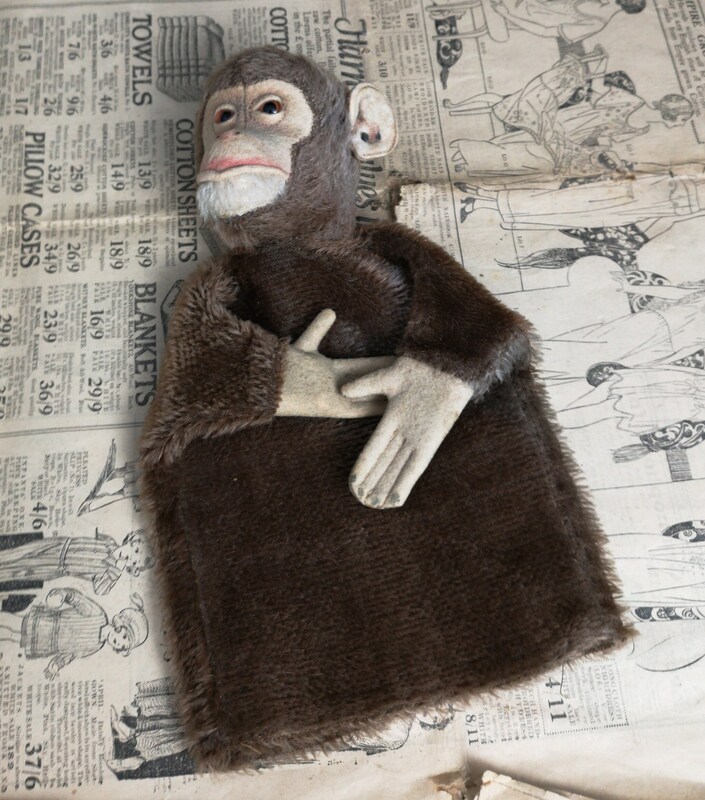 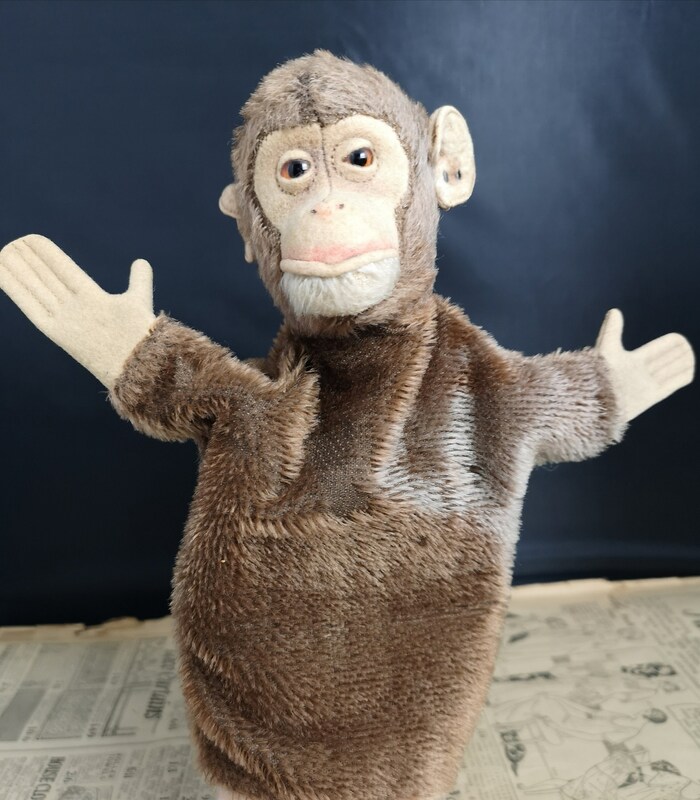 A late 1920's early 1930's Steiff Jocko the Chimpanzee hand puppet. 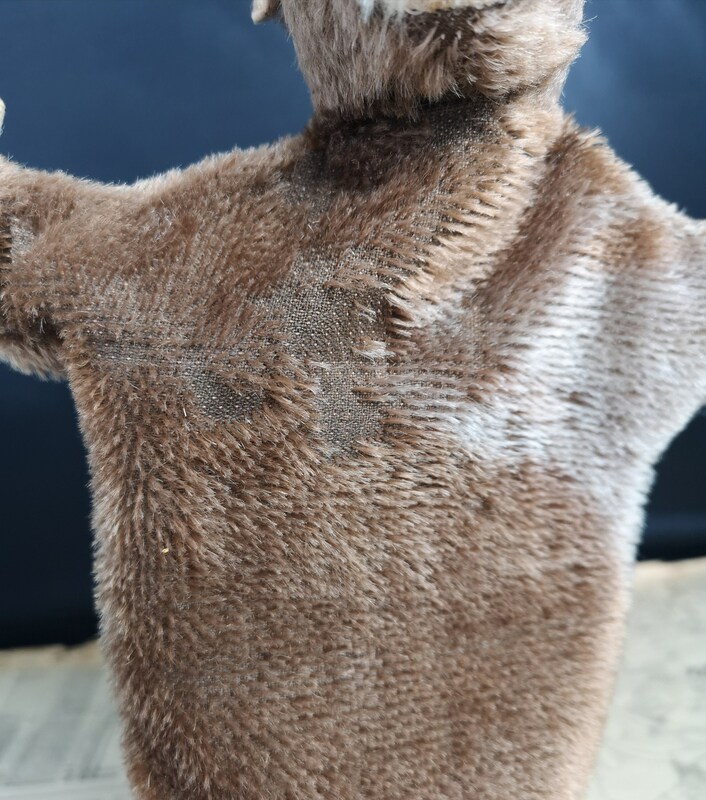 Brown mohair with beige felt and glass eyes. 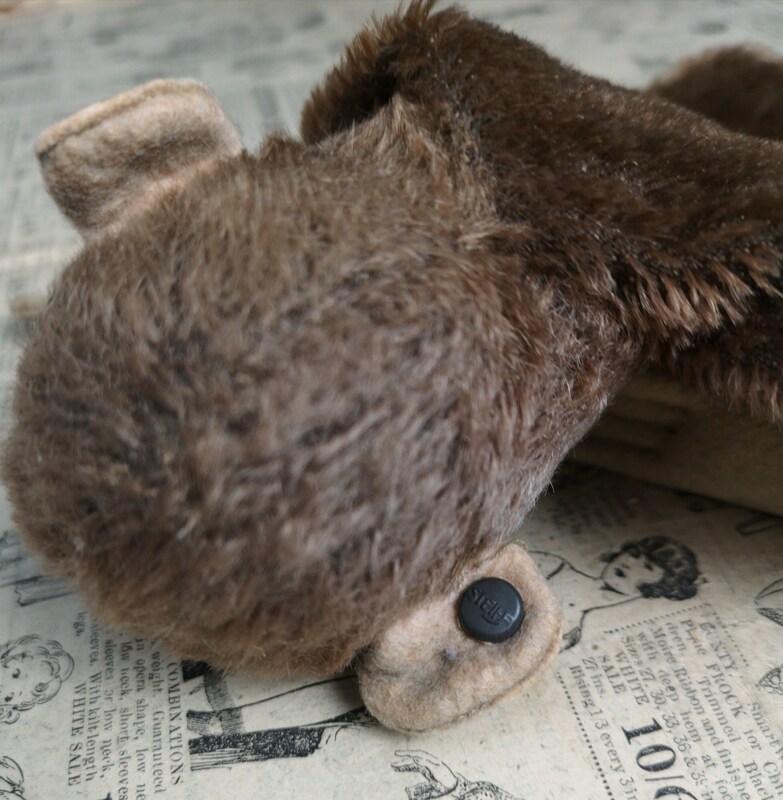 With ear tag marked Steiff some light patches off thinning hair.